Merchants Exchange – LMNOP Design Inc. 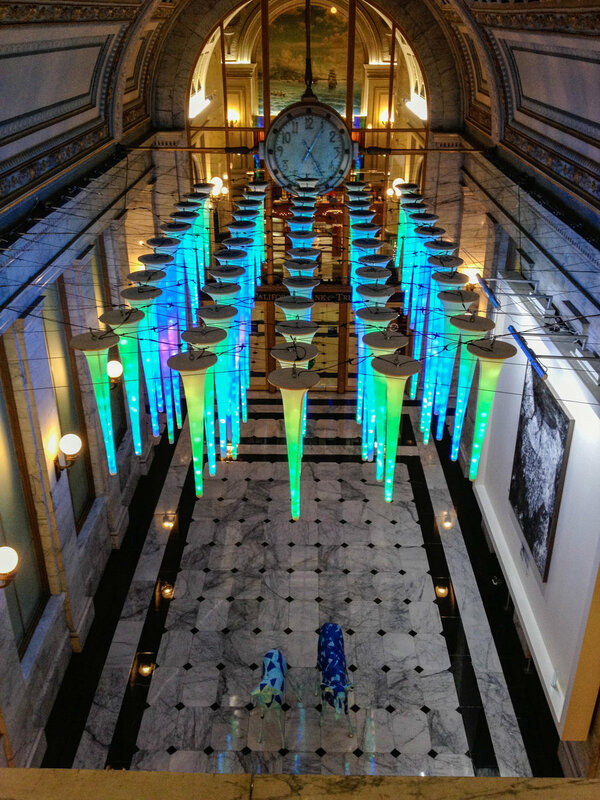 This holiday installation framed a contemporary, colorful light show within the stunning historic architectural backdrop of the Merchants Exchange building. The effect was magical. This enchanting holiday installation was commissioned for one of the oldest buildings in San Francisco, The Merchants Exchange. The design consisted of thirty-two icicles of varying lengths, illuminated by individually controlled LEDs, creating a visual array that dazzled passers-by with a contemporary light show framed by the stunning architectural features of the historic building.